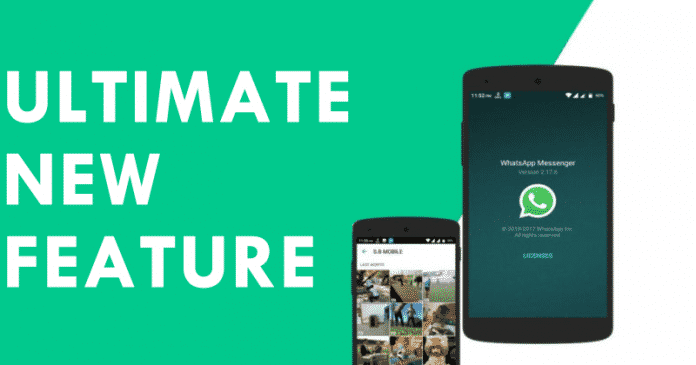 As many of you already know, since the last few years the developers of the well-known and most used instant messaging application, of course, I am talking about the WhatsApp have worked very hard to bring the best features to the application. However, now according to the latest reports, the most used instant messaging application, of course, WhatsApp to get this ultimate new feature. There are several functions and features that little by little the most used instant messaging application, of course, WhatsApp has been adding to its application, and not only that even we already know some of the functions of the most used instant messaging application, of course, WhatsApp that could arrive soon. 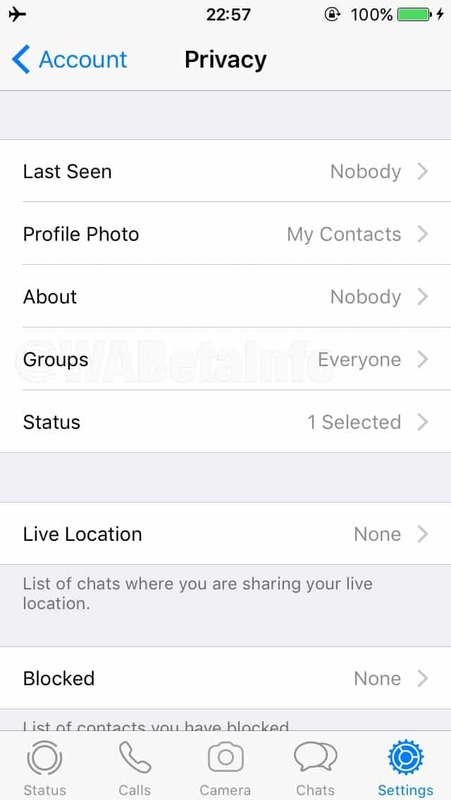 However, the latest beta version of WhatsApp simply advances that soon nobody will be able to add us to groups without our permission, as now it will simply provide us the opportunity to configure the app so that nobody can be able to add us to any group without our permission. The basic objective is simply to offer an annoy free experience in WhatsApp, as each time you enter WhatsApp, you discover that someone has put you in a new group without your permission. Hence, the complaints of users about it have been hanging around the Internet for some time, claiming that it is an evident commitment of private data such as our mobile phone number since any user can see the number of contacts added to a group. Now a new exclusive feature, which is not yet available, will reach the application which will simply allow us to configure the privacy and security of the app, of course, WhatsApp, so, that nobody can be able to add us in any groups without our permission as we told earlier. While this brand new feature has been discovered recently in the beta version of the app for iOS and is expected to be fully functional in the next stable versions of the application, of course, WhatsApp. As several months ago they began to talk about a privacy option for WhatsApp Business that would prevent them from being added to groups since a personal profile is not the same as a business profile. Now it seems that WhatsApp has decided to extend this function for any user, either WhatsApp Messenger or WhatsApp Business. 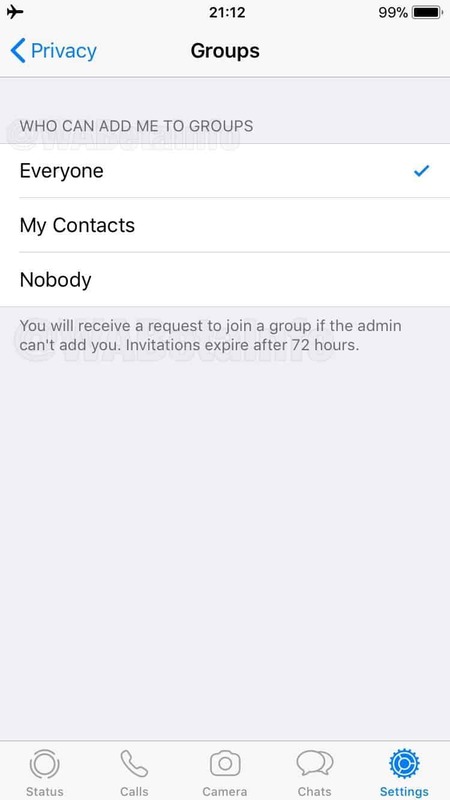 Everyone: If you activate this option then the user can always be added to any group of WhatsApp and will not receive any invitations. My contacts: If you activate this option the user can always be added to any group of their contacts only. Nobody: If you activate this option the user cannot be added directly in groups and will simply receive a request each time someone wants to add it to one. When the administrator of a WhatsApp group is not able to add us, we will receive a request to join the group based on the privacy options that we have configured. As we already said that this new feature is not yet available but will be enabled-by-default on the next update of the beta version of the app for iOS and not only that this new feature is also expected arrive soon for Android as well. So, what do you think about this? Simply share all your views and thoughts in the comment section below.